Our organization specializes in manufacturing and exporting Pilot Plants Pipelines & Production Units Equipment of excellent quality. Procuring high quality raw material from well known and authentic vendors, we manufacture these plants and production units using updated technology and modern tools. Ensuring high quality at customer's end, we stringently make these products pass through various quality check process. Customers can avail customization facility from us in convenience with their needs and requirements. We have made these products available in market at competitive prices. 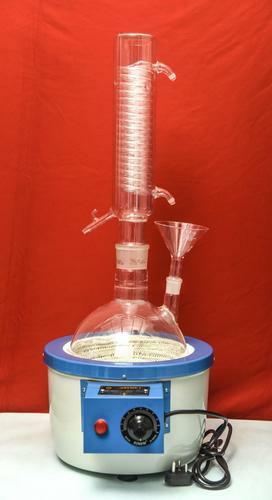 · Sizes of Boiling Flask : 1 Ltr. To 300 Ltr. 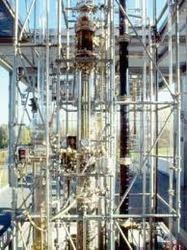 We are one of the accredited manufacturer and exporter of Bromine Recovery Plants of high quality. These plants are fabricated using quality-approved raw material sourced from trustworthy vendors and are fabricated by our expert team of professionals using modern tools and advanced technology. These plants are fabricated as per the international norms and standards. Customer can customize these plants as per their specifications. We are offering these cost-effective plants at market-leading prices. Our company is the foremost in offering Anhydrous HCL Generation Plants to the clients. 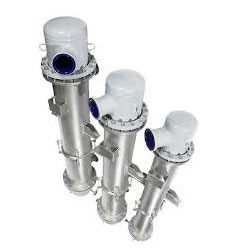 Anhydrous HCL Generation Plants are designed and developed from utmost quality components and latest technology under the guidance of professionals. These products are offered at budget friendly rates by us. To provide a defect free range to the clients, these plants are examined on various quality parameters as per the industry defined norms. Offered superior quality plants are available in several specifications. We are stalwarts in manufacturing and exporting HCL Absorbers of high quality. These absorbers are highly used in pharmaceutical and chemical industries. Offered product is appreciated for it's high durability and reliability. We manufacture these products using quality-approved raw material procured from reliable vendors ensuring longer service life at customer's end. These absorbers are stringently tested for quality at our technologically advance quality checking laboratories. Customers can avail these absorbers in various sizes and dimensions as per their requirements and needs. Looking for “Pilot Plants Pipelines & Production Units Equipment”?